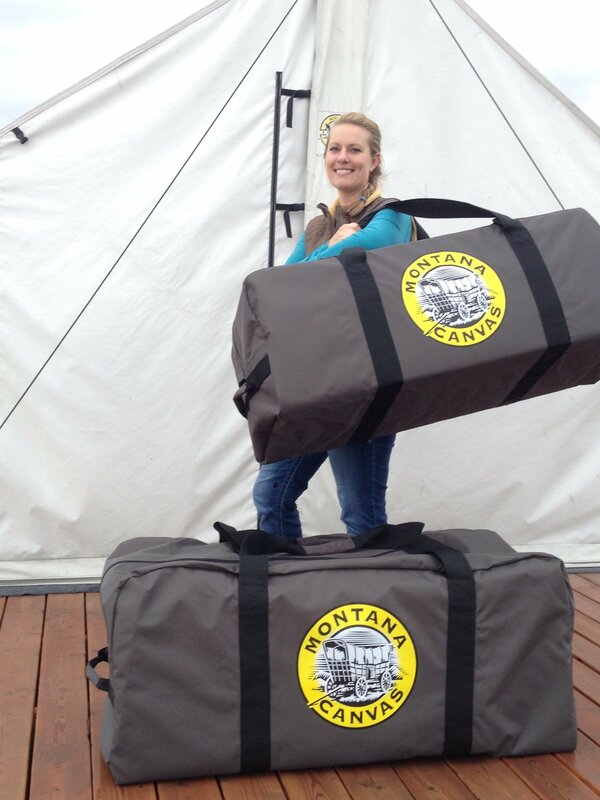 Montana Canvas recently designed a new style tent storage bag. With 2 sizes available they will fit most tents. 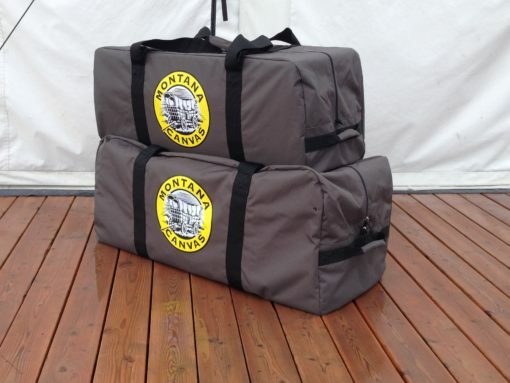 Constructed of heavy duty polyester with 3″ seat webbing handles and reinforcements. 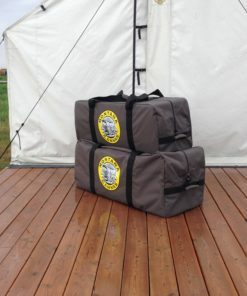 Heavy duty #10 YKK zipper makes rolling your tent into the bag much easier than before. 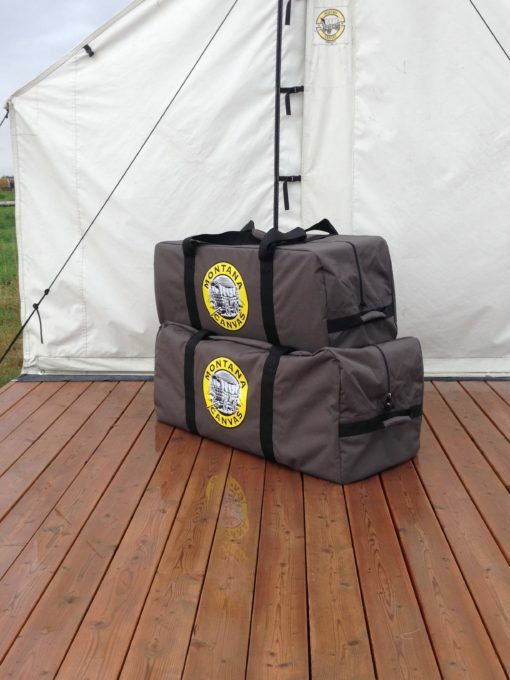 Reinforced webbing grab handles allow for easy loading and unloading. 10 oz. 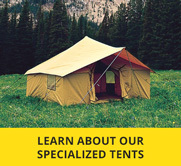 Traditional Canvas tents up to 10’W. 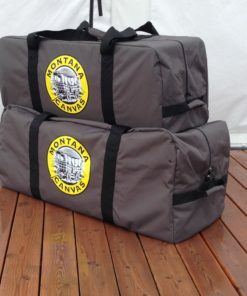 All Premium 12 oz. 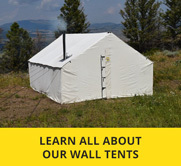 Wall tents.